–The national housing market will continue to be significantly under-supplied. There remains enormous levels of pent-up housing demand in the lower to moderate price ranges. –The national housing market will become increasingly over-valued but the risk of a price collapse is small due to under supply. 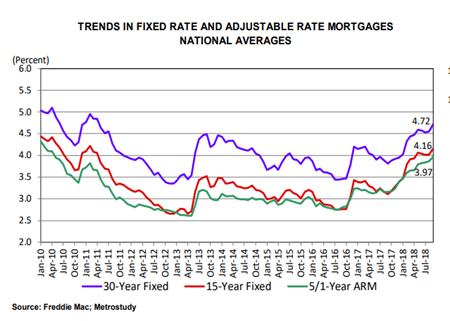 –Rising mortgage rates will continue up for the next 24 months and inflationary pressures are building. –“Overall we think we’re in the top of the eighth inning of the cycle with a mild to moderate correction predicted beginning in years 2020/2021,” Boud says. –The greatest short term worries are centered on cost and reduced affordability. The greatest long term worry is the national debt.